Web Portal - HTTP Error 500.19 with Error Code 0x80070021 When accessing WebPortal (Windows 2008 - Vista - 7). HTTP Error 500.10 - Internal Server Error - The requested page cannot be accessed because the related configuration data for the page is invalid. Config Error: This configuration section cannot be used at this path. This happens when the section is locked at the parent level. Locking is either by default (overrideModeDefault="Deny"), or set explicitly by a location tag with overrideMode="Deny" or the legacy allowOverride="false". In order for the WebPortal site to function correctly it relies on a variety of ASP.NET components. During installation these are enabled, however in some cases they need to be enabled manually. The first step is remove Print Manager Plus from Program & Features within Control Panel. a. 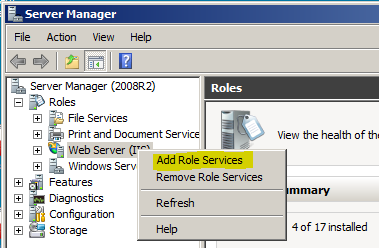 Open Server Manager > Roles and locate Web Server (IIS) Role. Right click on it and choose Add Role Services. b. 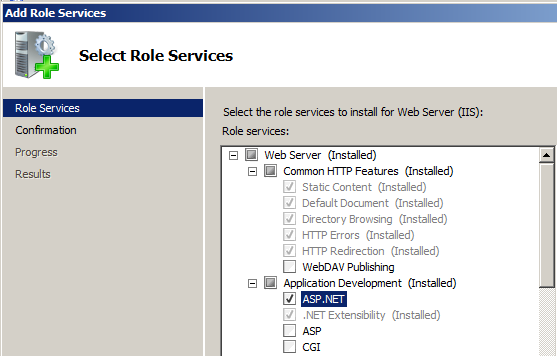 Locate and check off the item named ASP.NET within the Application Development section of IIS Roles. c. Click Next and Finish letting those components install. The following steps walk through this. 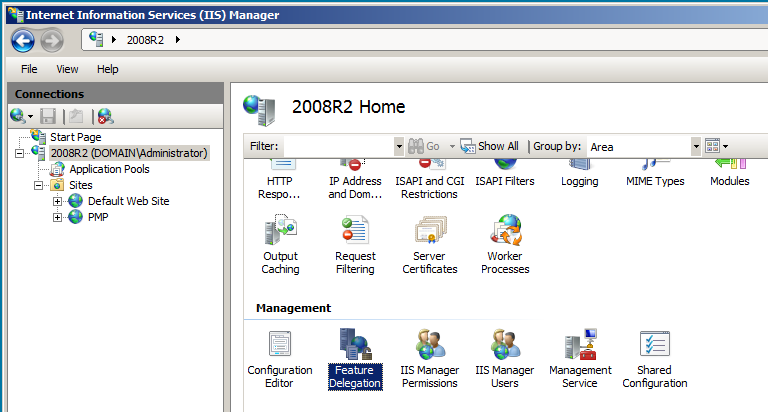 Within the Start Menu or Control Panel locate Administrative Tools> Internet information Services (IIS) Manager. On the site, click the Custom Site Delegation on the far right side. Choose the PMP site from the drop down, and then click Reset All Delegation on the far right. Ensure this is only done for the PMP site. If the PMP site is not available in the drop down, skip these steps and move on to Reinstalling Print Manager Plus. Once the above steps are taken, run the installation for Print Manager Plus again. Often the reasons IIS will not start and run, are explained further in the Windows Event Log, usually in the Application or System logs. These errors can be used to gather more information in helping resolve the issue.